The CSL Friday Morning Coffee Group in Manton suggested how we could make links to the site’s heritage as a coal mine, including Tally Tags or Tallies or Motties. These small brass tokens were used as a safety check to identify which miners were underground. A miner would hand in his Tally in return for his lamp and equipment, before heading down into the shaft. Amazingly I found these genuine Manton Pit Tallies on Ebay and got my bid in, and they’ve now arrived! Each one has got their miner’s personal number engraved on the back. 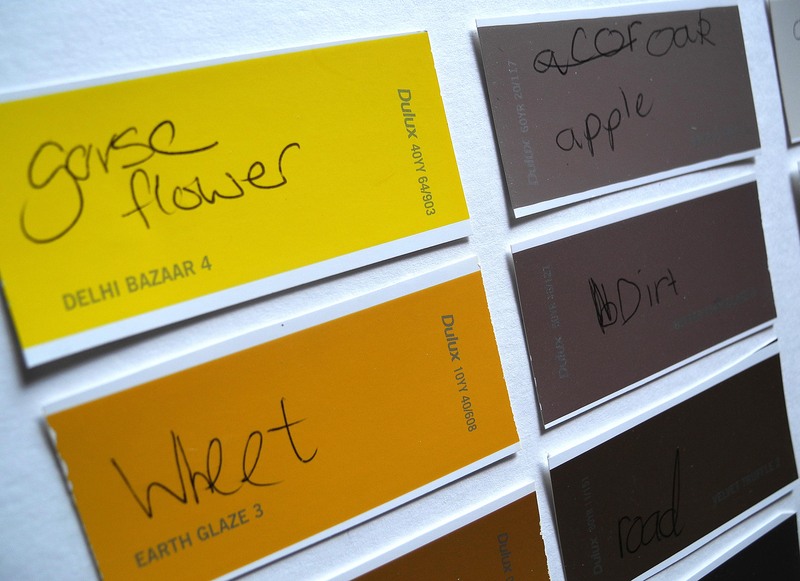 With the help of Dulux paint charts the we were also able to exactly map the variety of colours in the woods during the group site visits. We brought the colours back to the workshop to feed into ideas for the design. 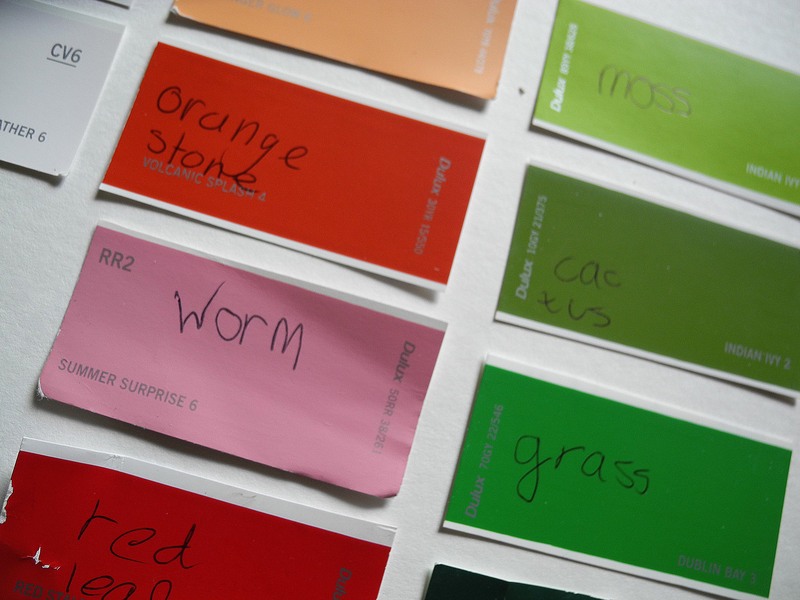 We found that a worm was the same colour as Dulux Summer Surprise 6; the yellow gorse was Delhi Bazaar 4; an orange stone was Volcanic Splash 4, and the grey of the wind turbine matched with Mellow Heather 6….